The intense behind the scenes lobbying on behalf of prospective candidates to replace General David Petraeus as Director of the CIA and the ongoing furor over Ambassador Rice’s “talking points” on Benghazi, have spilled over into op-eds quietly urging that the vacancy be used as an opportunity for reforms of the IC and CIA. This is not unexpected – the churn of ” IC reform” tends to be cyclical, free of institutional or historical memory and useful for distracting the media from genuine problems – but it is also true that the situation could bear improvement. …..In light of this, what should the DNI’s role be in the intelligence community, if not disseminating a coordinated intelligence product? The CEO of a company is typically the one planning strategy, interfacing with board members, stockholders, and consumers. A CEO doesn’t typically write the chief financial officer’s year-end summary or the marketing director’s strategy — instead, he views both products from 25,000 feet to ensure the company is on steady footing. The DNI should have a similar role: rather than replicating work, it should focus on reviewing the source material from the various agencies and collaborating to ensure all of the information has been reviewed. In the case of the Benghazi talking points, the intelligence community all had a role in editing the talking points once passed from the CIA. Other points of view make sense, but in the immediate aftermath of something like Benghazi, the arrival of new (and possibly conflicting information) is likely to confuse, not improve, the product. It is best to leave the dissemination, in the immediate aftermath, in the hands of the agency that owns the source of the information and is in the business of disseminating intel products — in this case the CIA. As with the recent and somewhat ironic leaking that the Pentagon is going to overrun the Earth with hordes of DIA covert agents [i.e. 90% of new money and personnel will probably feed the CONUS based DIA bureaucracy as a budget protection strategy] when an agency or entity can get political authorities to grant them incursions into another bureaucracy’s turf, it is because that bureaucracy has ceased doing it’s job so long ago everyone has just accepted that it will never change. ….The United States has over 280 diplomatic posts worldwide. They are working on drug interdiction, arms control negotiations, border security, counterterrorism, access to energy and trade, implementing sanctions, fair trade and the like. Intelligence helps diplomats recognize everything from cheating on agreements to social unrest and surprise attack. And it helps them make decisions that lower the risks and consequences of war. The new director should rededicate the C.I.A. to supporting these diplomatic operations. Right. Each ambassador should get to play amateur Station Chief and fritter away extremely scarce intel resources on pet projects because, you know, the State Department has done such an awesome job on it’s own core missions the past decade or so, and….uh…wait…. ….The best way to ensure the intelligence process can both produce the best analysis possible, free from political and policy influence, and that covert operations are smart and legal is to ensure the director is an independent actor not subject to political pressure. Making the job a 10-year appointment, which will cross the lines of elections, offers a way to reduce the risk of politicization. Shorter Bruce Reidel: The DCIA should be able to delay or refuse the President’s order to do covert ops so the US will do far fewer of them and in maximum risk-averse fashion. You de-politicize the DCIA by not having new presidents fire old DCIAs because they were appointed by an administration from the other party, a practice begun not by Ronald Reagan as Bruce Reidel mistakenly believes, but by his predecessor, Jimmy Carter. The idea that the DCIA who is expected to oversee the most sensitive covert missions (i.e. those intended to have strategic or political effects) should be “independent” of the President is some form of really poor Constitutional theorizing. What happens when an “independent” DCIA launches covert ops *against* the wishes of a President? The CIA is supposed to do both covert action and intel collection and always did. Period. The true anomaly is the comatose period after the Church-Pike Hearings bloodied the CIA on Capitol Hill and created a deeply risk-averse generation of CIA managers, who, it must be said, did not exactly bend over backwards in the 1990′s to unleash a legion of deep cover operatives and agents of influence. The “militarized CIA” meme is utter B.S. from folks who dislike armed drones and kinetic tactics and lost that policy argument two years ago. Drones and nefarious celebrity generals are not what prevents the CIA from more robust intel collection effort – only CIA management prevents better HUMINT collection by not prioritizing it and increasing the number of CIA personnel in overseas postings. What is required is an engaged and active Chief Executive willing to spend time and political capital making the IC work for his administration the way it should and the way he needs. This may mean firing the recalcitrant, the resistant and the risk-averse and taking heat from The Washington Post and The New York Times when their favorite “senior official” sources start screaming bloody murder on background to undermine their DCIA and DNI. Top talent in the DCIA chair, one with real gravitas on the Hill if possible, will be important but that person will still need the full backing of the President and key members of Congress or nothing will change. Senior officials in any administration like to get IC briefs that edge out the media on breaking events and bring them details they can’t find in their own, usually very extensive, personal networks or from the bureaucracies and agency experts they themselves oversee. The CIA in particular has catered to this demand as, it must be said, they are obligated to do. 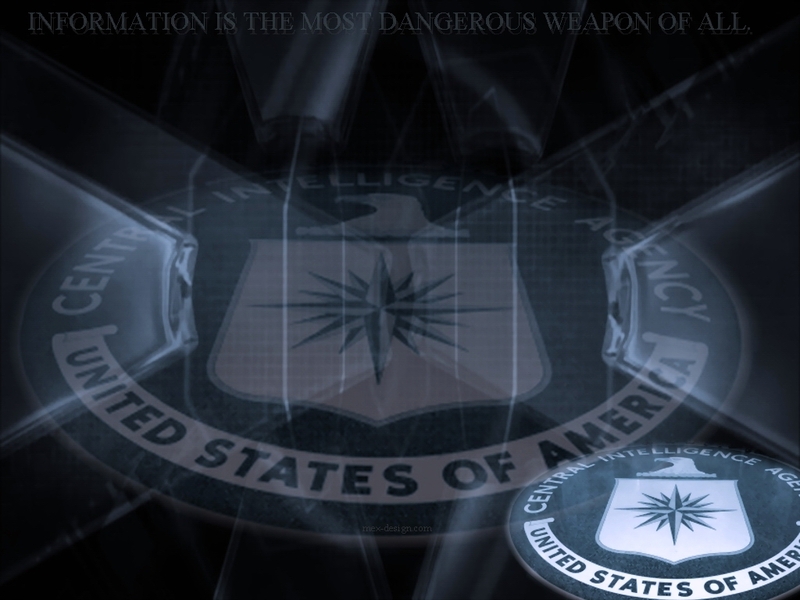 The problem is that in economic terms, the marginal value of “secret” information over what information is available in the open media in an emerging crisis is not going to be very great unless the CIA has made substantial investments in clandestine networks in the crisis area over a period of years or decades to acquire “strategic” intel, or at least a formidable position to uncover some. Pouring ever greater resources into near real time “reportage” and being a slightly spooky version of CNN makes such long-term, clandestine investments by the CIA less likely, less deep and less influential in shaping emerging events. Much like having a .357 magnum when someone is crawling through your bedroom window at 3 am, when a crisis erupts overseas, America either has a robust clandestine network on location or it does not. The IC will work better with consistently active oversight done with a minimum of partisan rancor and an avoidance of any new legislation that features a new (and usually more complex) org chart. It’s important -sometimes delicate operations and lives depend on our politicians behaving and speaking with discretion. If there are important objectives for national security for the IC to accomplish, nothing sends that message better than the administration and key members of the intelligence committees acting in concert to make a policy succeed. I’m not holding my breath on that last one.